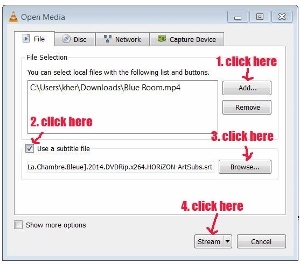 Here are tips on how to add and also embed subtitles to videos using VLC media player. The other day I have this 2014 French 'naughty' thriller video, titled "Blue Room", but it comes without the English subtitles. 1. First I have to look for the English subtitles over at the Internet and download it. 2. As the subtitle file is zip format, I need to abstract the file which end with .srt. 3. To do that, first I click on the .srt file. 5. A box pops up as shown below. 6. 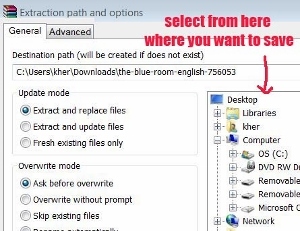 Select where you want to save the .srt file. 7. For instance if you want to save it on the desktop, then click on "Desktop". 8. Then click on the "OK" button below. 9. After that you should see the .srt file on your desktop. 1. Click on the movie and let it play on the VLC media player. 2. While the movie is playing, click "Subtitle" at the toolbar. 3. 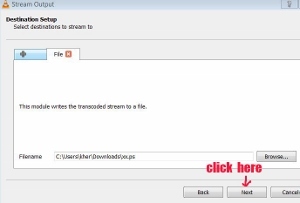 Then click "Add Subtitle file..."
4. A box will pop up, and then locate the subtitle file (end with .srt) which you have just saved. 5. Click on it and then click on the "Open" button below. 6. Instantly now the movie which is playing has the subtitles on it. Now you can enjoy the movie with the subtitles. If you want to the earlier part of the movie, you can just hover your cursor over the running time track to the beginning of the show and click on it. But if you want to permanently embed the subtitles or hard-code to the movie, then this is how you do it. Personally I have used this method myself and it works perfectly. 1. First open the VLC media player. 2. Click on "Media" on the menu bar located on the top left hand corner. 3. 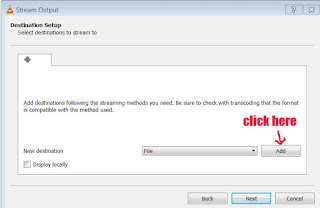 Scroll down your cursor until "Stream..."
5. A box will pop up. 6. Click on the "Add..." button. 7. Another box pops up. 9. Click on the movie file. 10. Then click the "Open" button. 11. Now you should see the movie file listed in the smaller box next to the "Add..." button. 12. Next, click on tiny box next to "Use a subtitle file". 13. A small tick symbol will appear inside the tiny box. 14. Now click on the "Browse..." button. 15. A box pops up. 16. Locate and click on your subtitle file which ends with .srt. 17. Then click on the "Open" button. 18. Now you can see the subtitles file listed in box next to "Browse" button. 19. 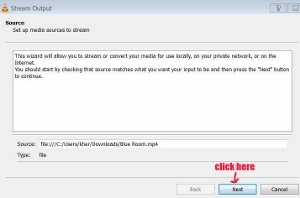 Click on the "Stream" button. 20. Another box will pop up. 21. Click on the "Next" button. 22. Another box pops up called "Destination Setup". 23. Click on the "Add" button. 24. It jumps to the "File" tab. Click on the "Browse..." button. 25. Another box pops up. 26. 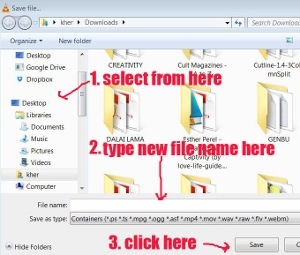 Now choose where you want to save the newly created file. 28. Now type in a new name for your video in the blank space next to "File name". 29. Then click the "Save" button. 30. The same "Destination Setup" box pops back again. 31. Now click on the "Next" button. 32. Another box pops up. 33. 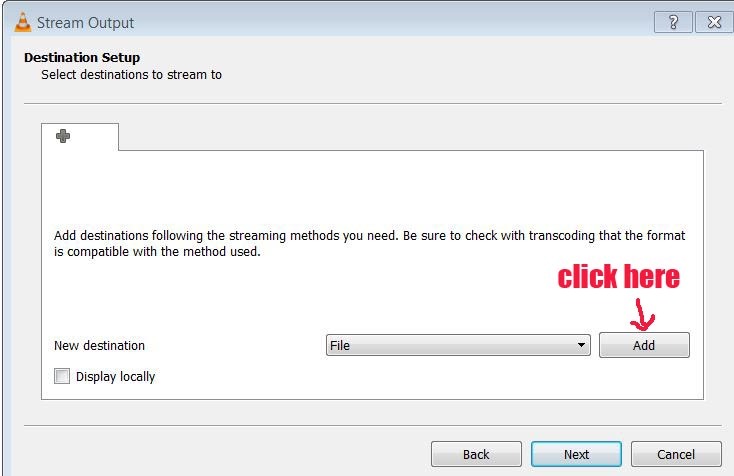 Make sure the remark "Activate Transcoding" is checked (meaning there is a tick symbol in the small box next to it). 34. Next click on the "edited selected profile" (wrench and spanner symbol). 35. An overlapping box pops up. 36. At the "Encapsulation" tab, make sure it is set at: MP4/MOV. 37. Then click on "video" tab. 38. 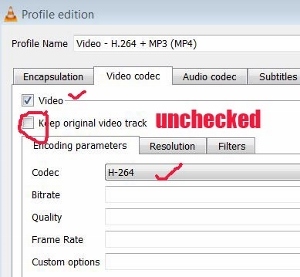 Make sure the word "Video" is checked (with tick symbol) and the remark "Keep original video track" is NOT checked. 39. Next, click on "Audio codec" tab. 41. Now click on the "Subtitles" tab. 42. 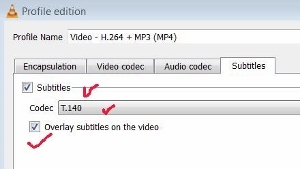 Make sure both "Subtitles" and "Overlay subtitles on the video" are checked. 44. Once everything is properly set, click the "Save" button below. 45. Then click the "Next" button. 46. Another box pops up. 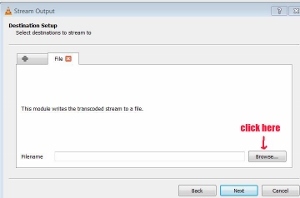 47.You can see a string of text inside the box below "Generated stream output string". 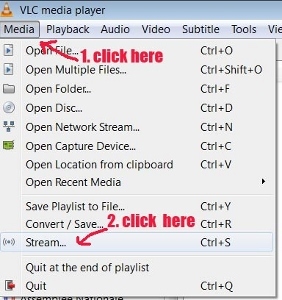 Finally click the "Stream" button below. 51. That's all. Now it should start to embed the subtitles to the video clip. 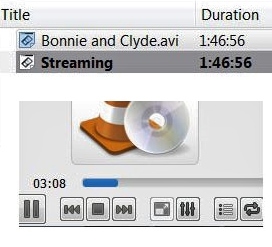 52.While the streaming process is on, you can see the word "Streaming" below the movie title at the top of the VLC interface and the blue color band slowly lengthening across at the bottom. Now you have to wait for it to permanently merge the subtitles together with the video. The process takes some time, depending on the running time of your video or movie. Now the subtitles is definitely permanently embed together with the video or movie. If you click on the "Subtitle" on the menu, you find there is nothing on the "Sub Track". 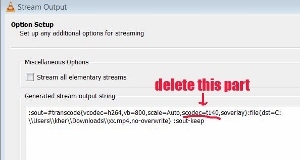 In fact now you can delete away both the video and subtitles files. 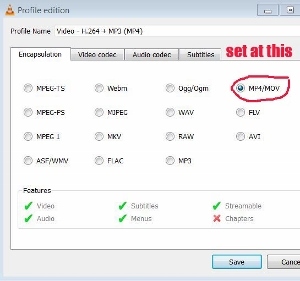 Note: Here is another simpler and faster method to add subtitles permanently to videos/movies with free software MKVToolNix GUI.